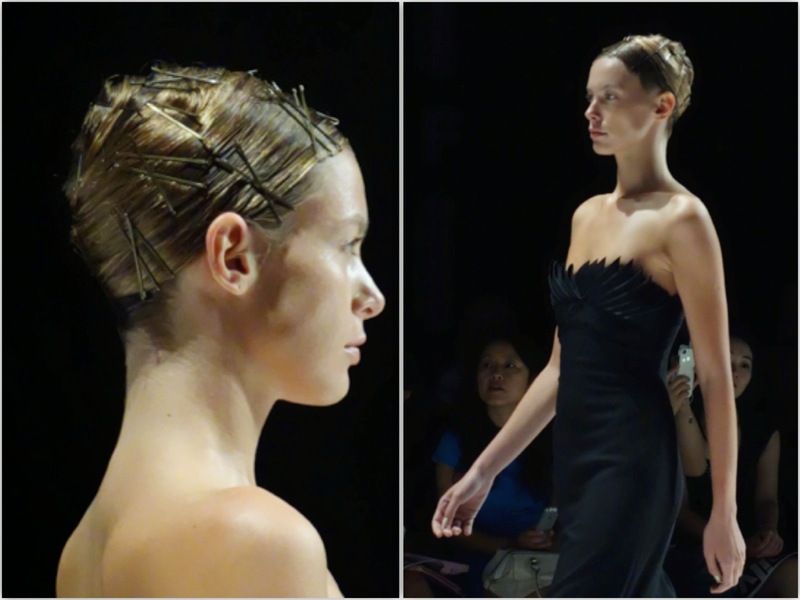 Chinese Designer TaoRay Wang showed for the first time at Mercedes Benz Fashion Week for Spring/Summer 2015. Her inspiration: Black Swan. Hair Inspiration? It looks like the Doobie Wrap a la Rihanna!